Shoot! Cute! Love this, everything you do is so cute. Did you notice the secondary design? I made 170 of the little 4 patches and said ok, enough, this will be a small baby quilt! and it is and it is cute! I don't know how you do it all!?!?!?! Oh they are such sweet little blocks! Is that a linen mix background. 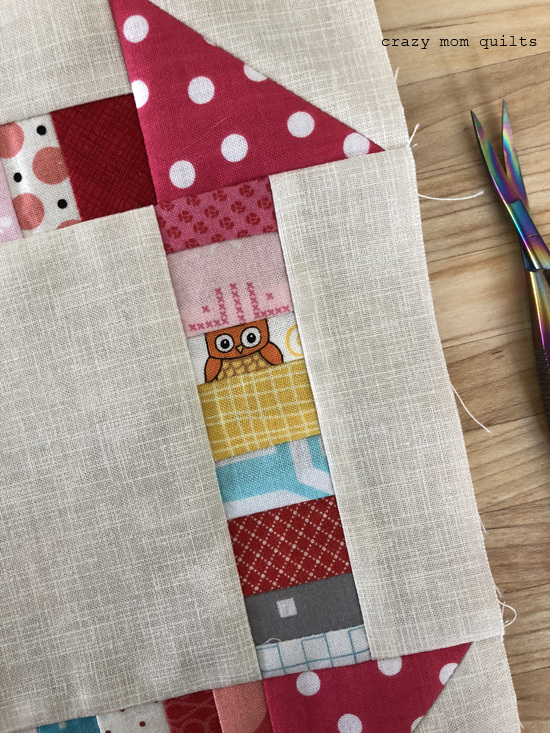 I'm a little bit obsessed with using linen in my quilts. . . They are wonderful! I made just as many of each before I packed up for my annual migration. I love them. I’m hoping, by the end of the summer, to have enough for a quilt of significant size. I’ll just make a few whenever the spirit strikes, and take it from there. I like how you seem to be sticking with red for your corner hst's. Looks great. I LOVE these. I have a number of scraps myself, and this is just such a great way to use them up. I love how bright they are. Love these mini-posts! Love the scraps because I have a hard time letting go of my scraps. Thanks for inspiring me. I love the linen-look fabric background. Very pretty quilt! I love the red corner HSTs! Have fun making more blocks. 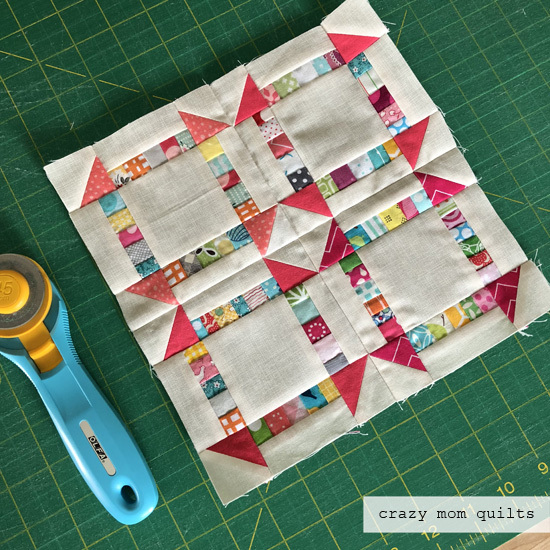 Love the border of smaller blocks! 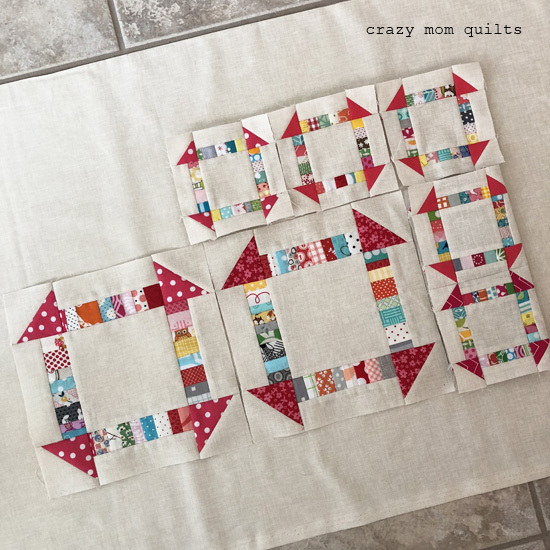 It was love at first sight when I saw your first post of these tiny churn dash blocks. I made four to piece together for a tiny wall hanging, and I also think they'd make cute quilt labels. One trick with blocks this small: press your seams open to get a very flat block. Awwwww, those itty bitty ones are so cute!